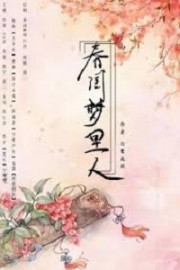 You’re reading novel Chaotic Sword God Chapter 1037: Meeting Yang Ling Again (Two) online at LightNovelFree.com. Please use the follow button to get notification about the latest chapter next time when you visit LightNovelFree.com. Use F11 button to read novel in full-screen(PC only). Drop by anytime you want to read free – fast – latest novel. It’s great if you could leave a comment, share your opinion about the new chapters, new novel with others on the internet. We’ll do our best to bring you the finest, latest novel everyday. Enjoy! The president and the grand elder of the Radiant Saint Master Union both sighed deeply inside, as they looked at the person who was once the most outstanding prodigy of the union. Their emotions were greatly mixed. Once upon a time, the two of them had treated Jian Chen as the future of the Radiant Saint Master Union. They even raised him as the successor of the president. The president had even used his own disciple, Yun Tian, to discipline Jian Chen, with the hope that he could grow quickly and become someone great that could take charge. He had hoped that Jian Chen could take up the position of developing the union. Unfortunately, the heavens played a huge joke on them. The Yang Yutian who had joined the union as a Radiant Saint Master all those years ago was a fighter as well, and one that had become Saint Ruler. Since ancient times, there had never been a fighter that was also a Radiant Saint Master. As a result, the saying that one could not be both a fighter and Radiant Saint Master at the same time had arisen. No one had ever broken this fact even after the countless years the saying had existed. However, the revelation of Yang Yutian’s ident.i.ty as a fighter broke this fact that had remained for countless years and greatly affected the union. It basically shook it to its core. Other than that, Jian Chen’s other ident.i.ty also greatly shocked the high ranking members of the union. He was actually a member of a protector clan, the Changyang clan. The protector clans were the ultimate force of the Tian Yuan Continent. They had existed since ancient times and possessed history even lengthier than Mercenary City. Even the three great empires possessed nothing close to contending with them. They were the undebatable rulers of the continent, and the Radiant Saint Union was as weak as a child compared to them. They would crumble in the first clash if they were to ever fight. The president and grand elder of the union looked at Jian Chen with extremely mixed emotions. They remained silent for a very long time while affection and resentment mixed within their eyes. To them, Jian Chen was someone worthy of their affection and resentment. They loved his talent as well as the fact that he could bring a bright future to the union while they hated Jian Chen’s second ident.i.ty. Moreover, he took away the saint artifact all those years ago and threatened the union. They knew that Yang Yutian, who had become the most outstanding prodigy in all of the union’s history and had extremely great potential of reaching Cla.s.s 8 as a Radiant Saint Master, would probably never return again. “Jian Chen, come visit the headquarters of our union whenever you have the time. There are some matters I want to discuss with you,” the president spoke as well. The president also began to smile from the bottom of his heart as he nodded many times. Jian Chen used the Illusory Flash to move, and his steps became blurs. With every casual footstep, he would traverse several kilometers. Although Jian Chen did not go ahead and comprehend it purposefully, he had become more and more proficient with it after using the special movement battle skill many times. His grasp of it was currently improving unconsciously. After around a dozen steps, Jian Chen had traversed over a hundred kilometers. He had returned to the City of G.o.d. The barrier around the city had disappeared as well. It had returned to its previous state. Rui Jin, Hei Yu, Hong Lian, and the four protectors of the Bloodsword sect followed behind Jian Chen. Behind them were Zaar Veimos and the Saint Rulers of the eight clans, as well as the various experts who had come to watch. Jian Chen hovered over the City of G.o.d and directly flew to the mansion of the Zaar family. Bi Jian remained in the huge estate, standing there in the same position as before. Panic flooded his face. Zaar Veimos had frozen Bi Jian before, which had immobilized him. Although Zaar Caiyun had s.n.a.t.c.hed him away later, she did not remove the force that trapped him place, so all he could do was stand there obediently. He could not even flee even when he wanted to. “Bi Jian, I’d like to see who will be saving you now.” Jian Chen stared icily at Bi Jian. Powerful killing intent radiated from Jian Chen without any restraint. It caused the surrounding temperature to plummet. Bi Jian’s expression immediately changed when he saw Jian Chen return safe and sound. He became absolutely horrified, and fear flooded his face. “Don’t kill me Jian Chen, don’t kill me. I am great friends with the Heavenly Enchantress. If you kill me, the Heavenly Enchantress will never forgive you. She will hate you for the rest of her life,” Bi Jian said with a trembling voice. He had already become pale-white since he knew he was facing the moment of his death. “Bi Jian, if it were not for the experts of the Changyang clan arriving in time for the matter of Flame City, all my good friends probably would’ve died by your hands, and I have even heard that you were interested in my fiancee, You Yue, right?” Jian Chen’s gaze became even colder as killing intent boiled in his heart. “No, that’s not true Jian Chen. That’s not true. It’s all a misunderstanding…” Bi Jian paled in fright. He frantically denied the accusations and wanted to explain himself. Jian Chen was not convinced at all. He coldly said, “Don’t worry Bi Jian, I won’t kill you so easily…” With that, Jian Chen threw a vicious kick at Bi Jian’s dantian and a sliver of Chaotic Force immediately entered it. The Chaotic Force destroyed his Saint Weapon while his dantian completely collapsed. The powerful force had even crushed his organs into mush. Bi Jian produced an extremely miserable shriek. With his Saint Weapon destroyed, he also became extremely heavily injured. Although he would not die as long as his soul was still present as a Saint Ruler, his strength plummeted. Afterward, Jian Chen extended a finger, and a sliver of Chaotic Force shot into the center of Bi Jian’s eyebrows in the form of a sharp sword Qi. It heavily injured his soul and prevented him from being able to flee in the form of a soul. Bi Jian immediately became haggard thanks to this soul injury. He arrived at death’s door, and he even lost the power to shriek out in pain. He was in so much agony that tiny droplets of sweat covered his forehead. “Jian Chen, you won’t be dying an easy death,” Bi Jian cursed through his teeth, but his voice was extremely weak. He knew he was done for now that Jian Chen had destroyed his Saint Weapon, and his soul was injured. Jian Chen ignored Bi Jian’s cursing. He did not need to get mad at someone who was about to die. Then, he sucked Bi Jian into the artifact s.p.a.ce and left the Zaar family estate. Jian Chen gathered in a beautifully-decorated room with the president and grand elder on the very top floor. After a short talk, Jian Chen gained an even better grasp of the current union. A great uproar had indeed erupted in the upper echelon of the union with the loss of the saint artifact, almost causing the union to collapse. In the end, they managed to emerge safely all because of the secret a.s.sistance from the three great clans of the Holy Empire, which allowed the union to survive the disaster. The Radiant Saint Master Union was not a weak force; as long as they existed within the Holy Empire, they remained a force of the Holy Empire. This was why the three great clans did not wish to see the union collapse since experts of the union would join other organizations or the other two empires. This would strengthen their enemies. The union and the three great clans silenced the matter regarding the loss of the saint artifact to prevent it from spreading any further. Then, they announced some other reason to cover the truth. Jian Chen had even learned from the president and the grand elder that all the Radiant Saint Masters that placed in the top ten last time had failed to reach Cla.s.s 7 other than him. This included Kara Liwei, the person known to be the greatest Cla.s.s 6 Radiant Saint Master. None of them fused with the origin energy of Radiant Saint Force successfully. “Jian Chen, our union may have lost the saint artifact, but as long as the origin energy source in our possession doesn’t run out, our union can continue existing. According to your request many years ago, we have been devoting all our efforts in finding items that can store the origin energy of Radiant Saint Force. We’ve gathered quite a few, and they’re all in this s.p.a.ce Ring. I hope you can help us collect some more origin energy the next time the seal of the artifact loosens,” the president pleaded. He knew that the existence of the current union would all be up to Jian Chen. If the union lost its source of Radiant Saint Force origin energy, it would no longer have the power to gather all the high cla.s.s Radiant Saint Masters of the continent. Jian Chen accepted the s.p.a.ce Ring. “President, don’t worry. I will definitely store enough origin energy for you the next time the seal loosens. “I will be able to relax if that’s the case.” The president and the grand elder both became relieved. Their thumping hearts calmed down, and they became much more at ease. Jian Chen pondered in silence as he sat in the chair. Reminiscence filled his eyes. Scenes of when he was in the City of G.o.d as a Cla.s.s 6 Radiant Saint Master flashed through his head again. At that moment, he remembered his bodyguard back then, Yang Ling. That fellow was even willing to throw his own life away to protect Jian Chen. There was also that chatterbox, Quan Youcai, who always stuck to him in an attempt to obtain the Radiant Artes. Yang Ling loyalty had once moved Jian Chen deeply. Although he was just a bodyguard, Jian Chen had never treated him as an outsider during the time he spent with him. He treated him as a friend, even though he was just a Heaven Saint Master. “President, grand elder, may I meet my bodyguard from back then, Yang Ling?” Jian Chen asked. You're reading novel Chaotic Sword God Chapter 1037: Meeting Yang Ling Again (Two) online at LightNovelFree.com. You can use the follow function to bookmark your favorite novel ( Only for registered users ). If you find any errors ( broken links, can't load photos, etc.. ), Please let us know so we can fix it as soon as possible. And when you start a conversation or debate about a certain topic with other people, please do not offend them just because you don't like their opinions. You're reading Chaotic Sword God Chapter 1037: Meeting Yang Ling Again (Two). This novel has been translated by Updating. Author: Xin Xing Xiao Yao already has 7442 views. Current Time is Apr-21-2019 08:18:18 AM.